Last week wasn't a great break... in fact, it was one of the worst breaks in all the Retail Reviews I've done so far. 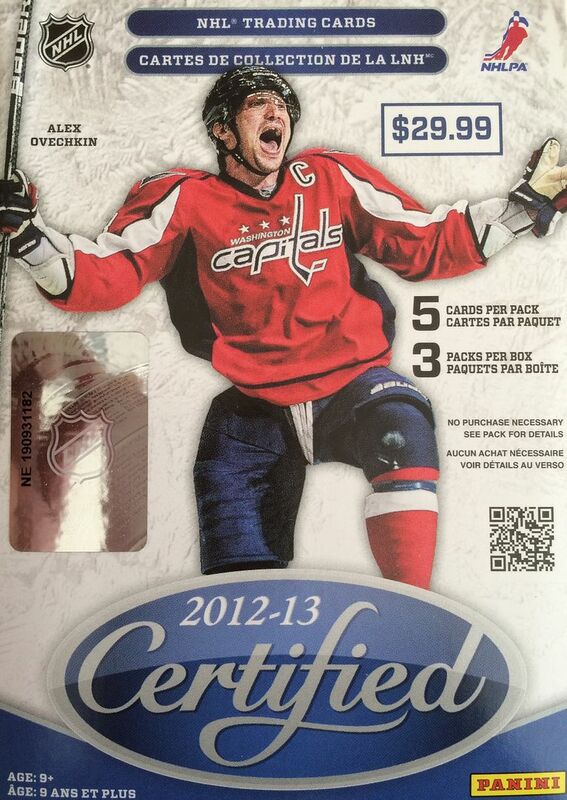 I'm hoping to reverse that this week with this blaster of Certified. At least with this blaster, I know that I"ll be getting a hit. Certified is almost never a bad break, it's quick and feels good to open up a quality product. Even though there are only three packs per blaster, there is excitement in the fact that a hit is waiting inside. Usually the hit is just a jersey card, but for some reason inside retail blasters those types of hits are still fun to get. Getting an autograph would be even better, but I'm not going to hold my breathe on that. 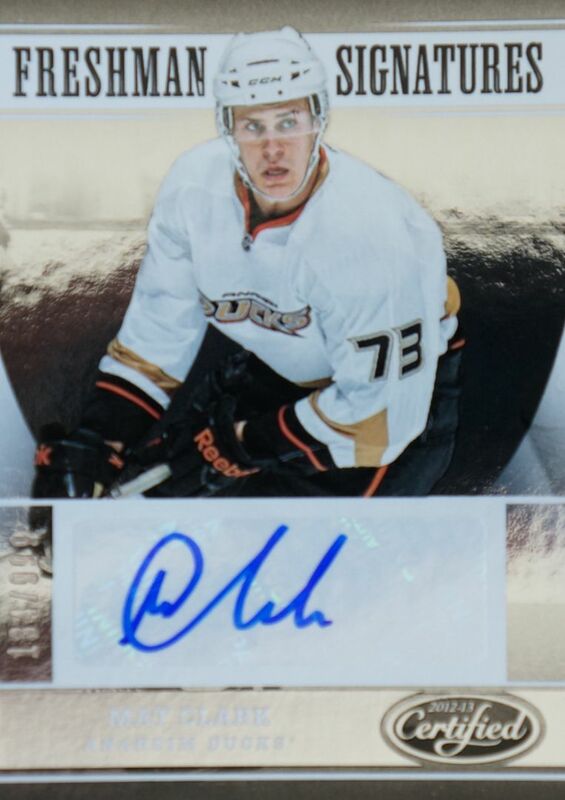 Getting autos seems quite a bit more difficult than the swatch hit. Rookie-wise, 12/13 doesn't have too much to offer so it'd be great to pull a nice card of a veteran player. You can usually find 12/13 products a significant discounts. It might be a good choice to go mining for some nice veterans with boxes and blasters from this year. My initial thought when seeing the packs of this blaster was that I must have gotten an autograph hit. Normally, you can tell that one pack is thicker... and that pack has the jersey card in it. I had to guess at the hit-pack, and I thought it was funny that I got it right and opened it last. This wasn't a phenomenal blaster by any means, but it sure does feel that way compared to what I got last week. There were mostly base cards, but I did enjoy the insert and hit that I found here. The cards are also very nicely done with copious amounts of shine to dazzle me with. 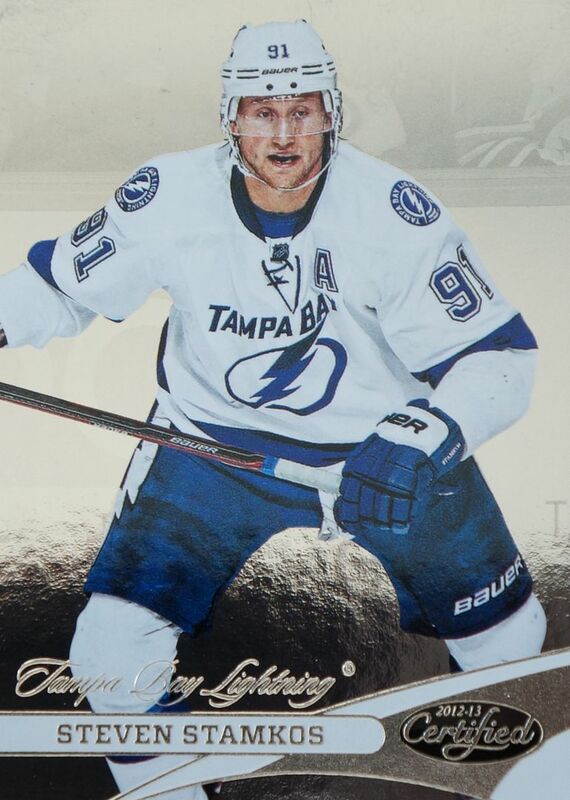 Stammer is always a nice pull out of packs. He's a gifted scorer and the hobby seems to really love the guy. This was probably the best base card in the blaster. This insert card is numbered to just 250. 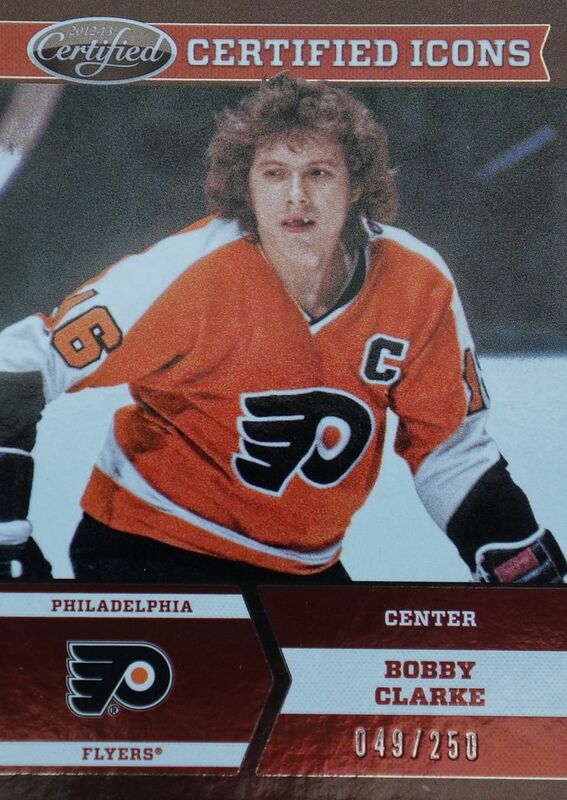 I am a fan of retired players having cards that are more modern... it's a fun juxtaposition that I find interesting looking. I'm glad to have gotten an autographed card from the blaster. It's been a while since I've gotten one. It's not a great hit, but an autograph is an autograph and I'll be happy with it. There is some really good value in these 12/13 Certified blasters. At their current price of just over ten dollars, you are guaranteed a hit. These blasters are just like buying a hobby pack of Certified except with out the guess work. I definitely think they are a strong value and should be picked up if you are given the opportunity to do so!